Your guide will be either of Jewish origin or closely connected with a Jewish community. 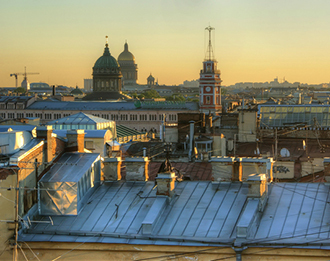 09 - 12.00 Am – City tour. Visit to the Grand Synagogue. 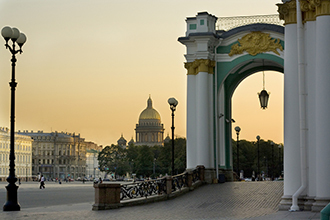 Tour of the Choral Synagogue and a meeting with a cantor or a member of the community This tour will give you an overview of life of the Jewish community in St. Petersburg throughout the history of the city. 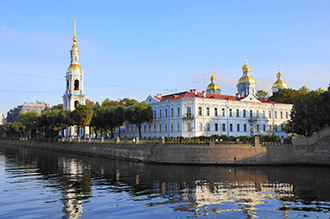 You will drive around the Kolomna district where Jewish colony was mainly concentrated in the 19th century. Here you will visit the Grand Synagogue. 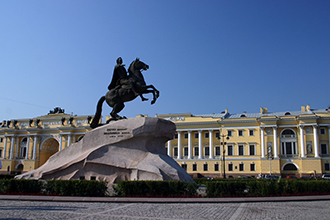 You will stop by St. Petersburg Conservatory founded by A. Rubenstein which gave birth to a number of prominent Jewish graduates such as Leopold Auer, Misha Elman Yefrem Cimbalist, Yasha Heifetz, and Heinrich Veniavski. Then you will set off to see the most interesting palaces in St. Petersburg associated with famous representatives of the Jewish community. You will see the palace of two dynasties of the Jewish industrials and bankers, the Polyakovs and the Ginzburgs. 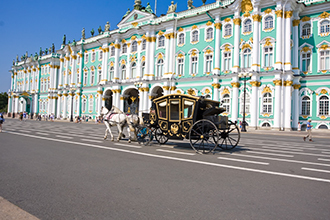 Your tour will continue with a drive along Nevsky prospect where you will see an impressive bank building of Vavelberg who was once was one of the wealthiest polish bankers living in St. Petersburg. Also you will be able to admire a beautiful building of the Academy of Fine Arts where lots of Russian-Jewish painter studied, like Marc Chagal or Isaac Levitan. On Monday you will visit the oldest Jewish cemetery in St. Petersburg where famous Jewish figures are buried including Rubenstein, Ginzburg etc .